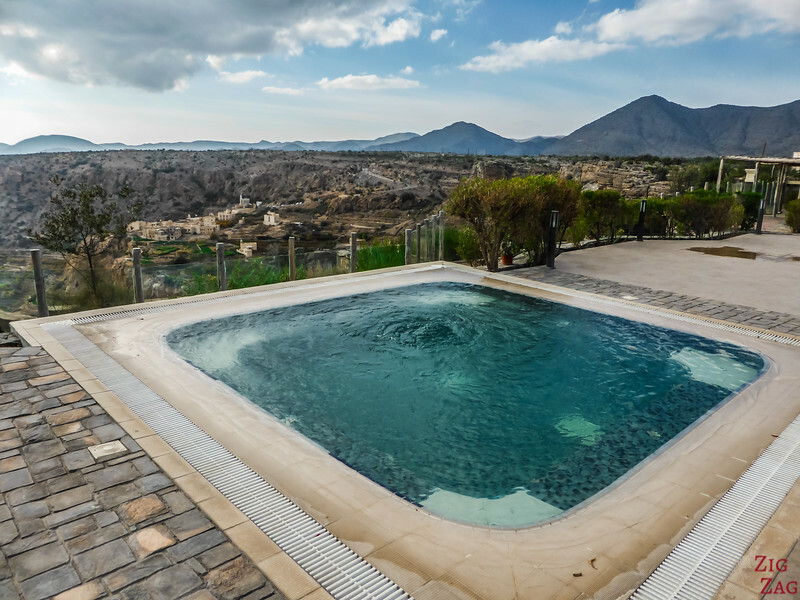 Wondering where to stay in Oman? Let me help you! 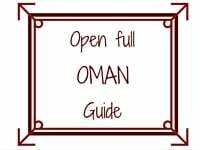 In this article I explain the various Oman accommodations and share suggestions with reviews. 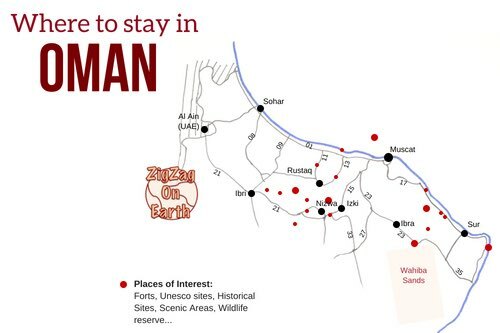 Discover some great Oman hotels, resorts, guesthouses and Wahiba Sands Camps. All you need to find where to stay during your road trip in Oman. They are close to many attractions: wadis, desert, mountains. While on the Musandam Peninsula, it is easier to stay near Khasab. And in the South Salalah is practical, but you can also stay in the Empty quarter desert. In the deserts of Wahiba Sands and the Empty Quarter are permanent settlements that welcome travelers. Muscat is where you have the most choice in terms of accommodations. I hesitate a lot but opted for an Airbnb Room near Al Qurum Beach which is great for a relaxing evening walking on the beach. I stayed at an airBnB that is not available anymore. Sur is a great location to stay for a couple of day, relax at the beach, enjoy the laid-back feeling of the town and admire turtles nesting during the night. I stayed at the Raz Al Jinz Turtle Reserve Resort because it is connected to the Ras Al Jinz Turtle Reserve. State: Simple, clean room. Good common area. Wifi only available in the common area. In Oman, it is easy to spend one night in Wahiba Sands even on a tour from Muscat. Several permanent settlements welcome tourists. Camps include: the Desert Nights Camp, the Arabian Ory Camp, the Desert Retreat camp, Desert Wonders Camp and 1000 nights camp. Most offer 4WD tours and camels excursions in the dunes. One of the main Wahiba Sands Camps is the Desert Night Camp. 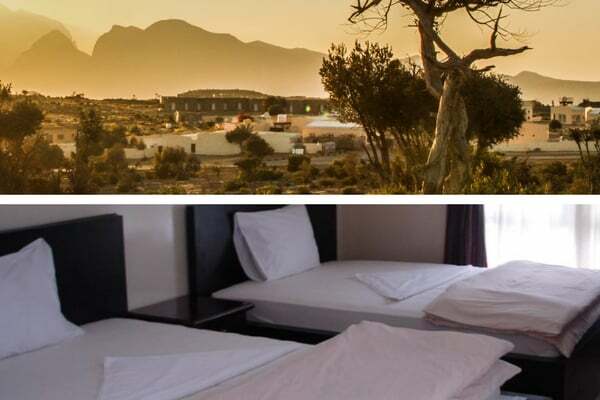 Right next to it is another camp for those who need less luxury: the Arabian Oryx Camp. I stayed at the beautiful Sahab Hotel not far from Diana's point. Note, another major resort was being built not far from the Sahab Hotel. Breakfast: when they have a lot of people there is a buffet. But because we where not that many I had to order what I wanted. Food was OK.
One of the great things to do in Oman is stay one night in a secluded village in the mountain. I did it in Misfat Al Abryeen. What an experience! Check-in: The people are very nice. One of the owners sat with us at diner and told us stories from the are. It was great! Known as the Arabian Grand Canyon, Jebel Shams Oman is a must visit in the Sultanate. 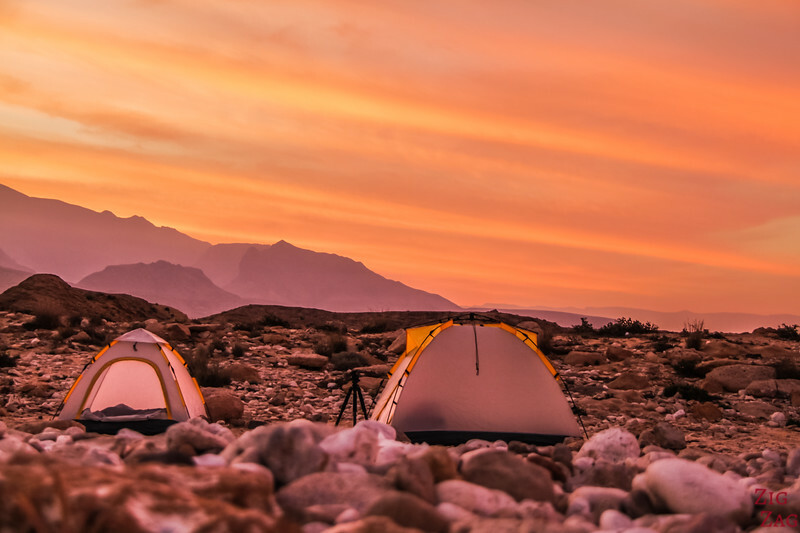 You can do it on a day tour from Muscat but an overnight stay at one of the Jebel Shams Resorts will give you more time to hike and enjoy the sunset and clear night sky. 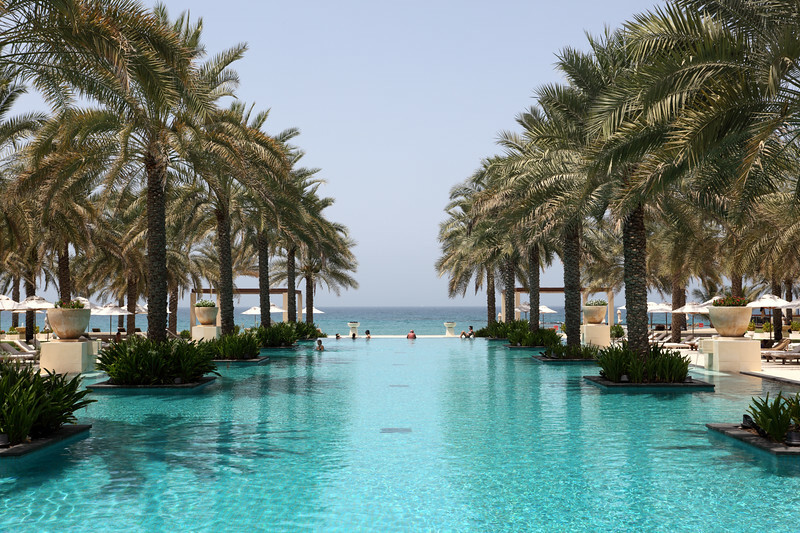 If you need to relax in luxury near the beach, there are many Oman hotels to satisfy your need on the coast. On my last night I stayed at the Millennium Beach Resort Mussanah. It is a huge complex with big pool and its own Marina where you can depart to the Daymanyiat ﻿islands. Location: Very isolated but everything is available at the resort - several restaurants, spa, marina, pool etc. State: Luxurious. Good wifi. Like many resorts it likes character. It is a huge place with weddings and conferences... always busy. Breakfast: I woke up very early to get back to Muscat and did not taste their breakfast. Planning a road trip in﻿﻿ Oman? Would love to explore Oman!